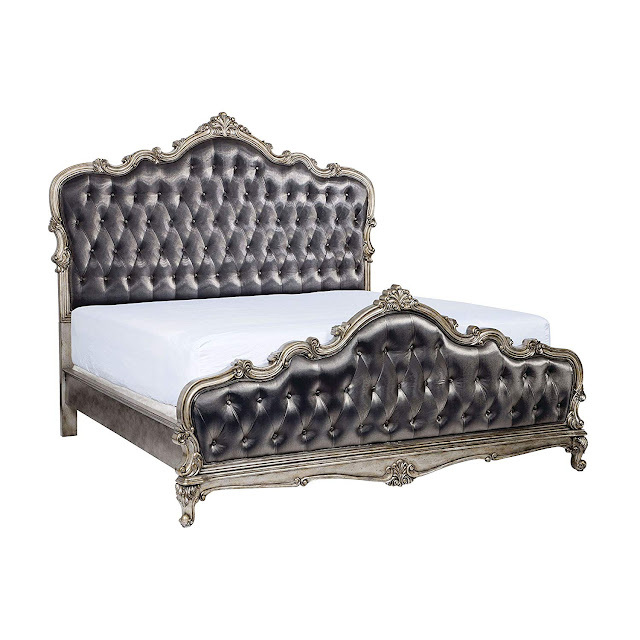 This Meridian canopy bed is upholstered in grey velvet, with crystal button tufting. 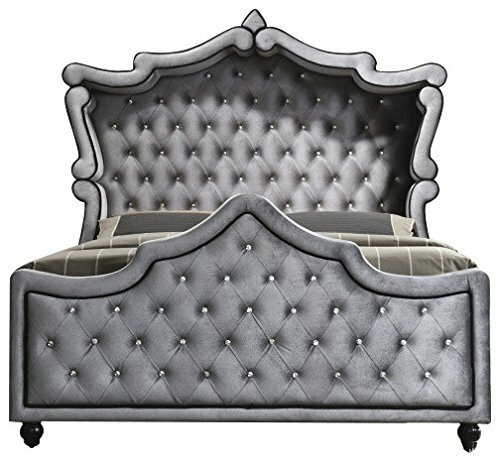 It comes in Queen and King sizes. 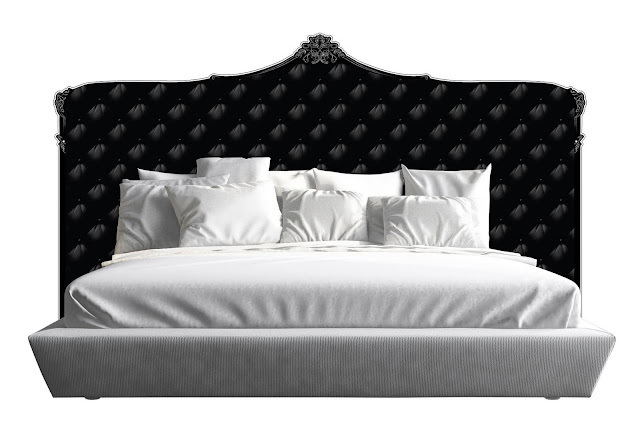 It's very regal looking, and a nice alternative if your partner can't quite handle full-on black velvet all over your shared bedroom. The company makes a matching upholstered velvet nightstand too. 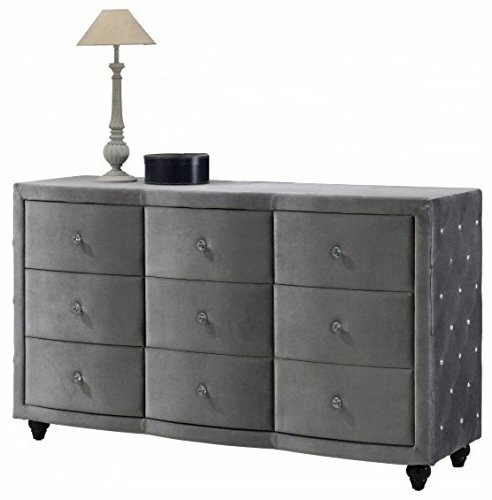 They also offer a matching upholstered dresser, but that might be going a little too far down the "Gray" path. 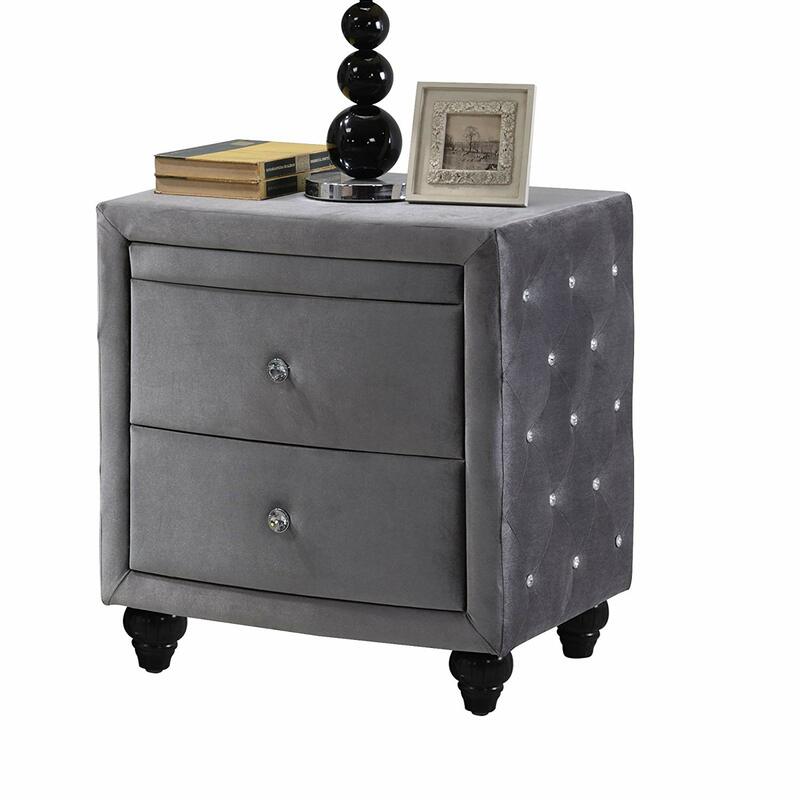 It might work if you had a really big bedroom. 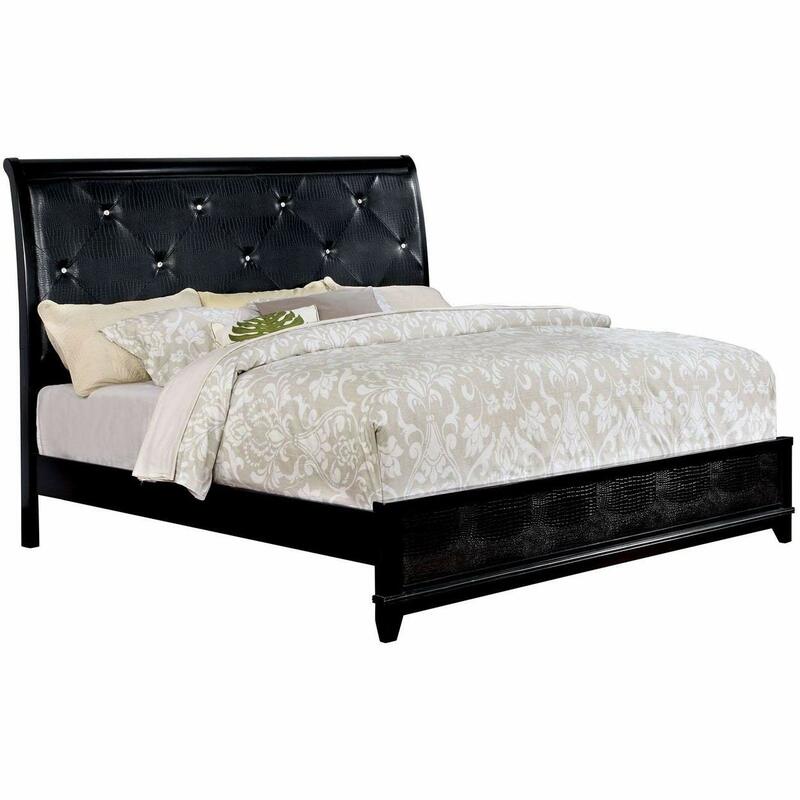 This bed gives you the option of melding your favorite gothy black velvet with modern style: the Meridian Lexi Black Velvet Bed. 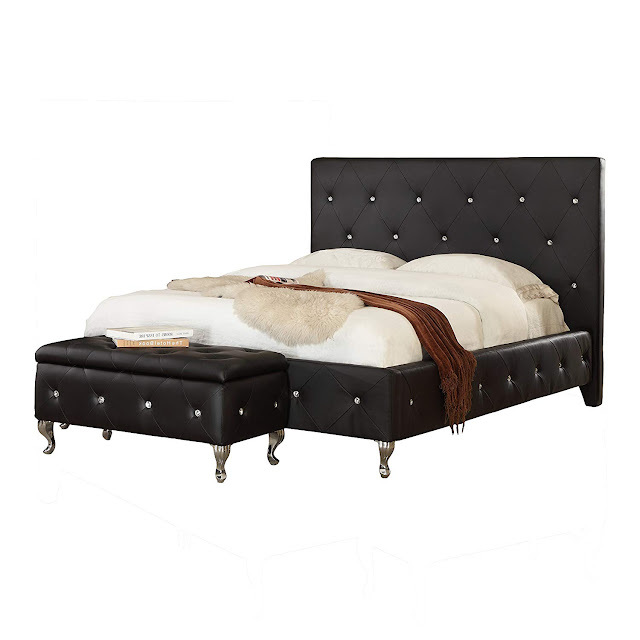 Here's a tufted Leatherette bed, in black, with crystals. 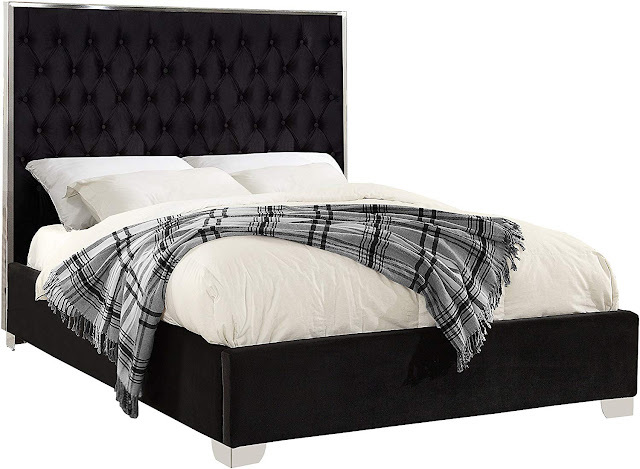 Here's a slightly different take on the tufted bed: a tufted platform bed, also with crystals. This black velvet upholstered sleigh bed is by Baxton. 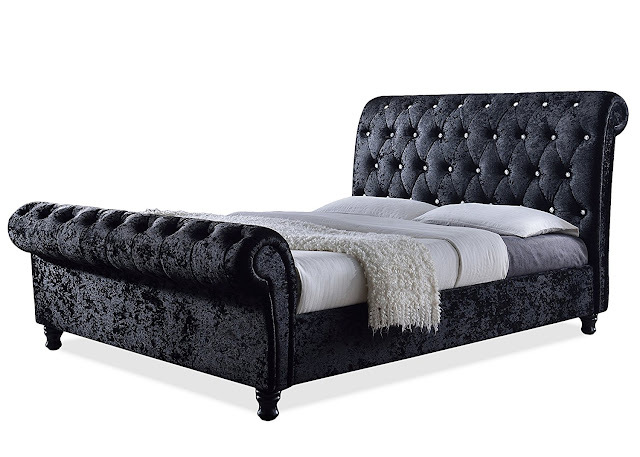 It's a slightly more modern, simpler way to add a luxe regal gothic air to your bedroom. 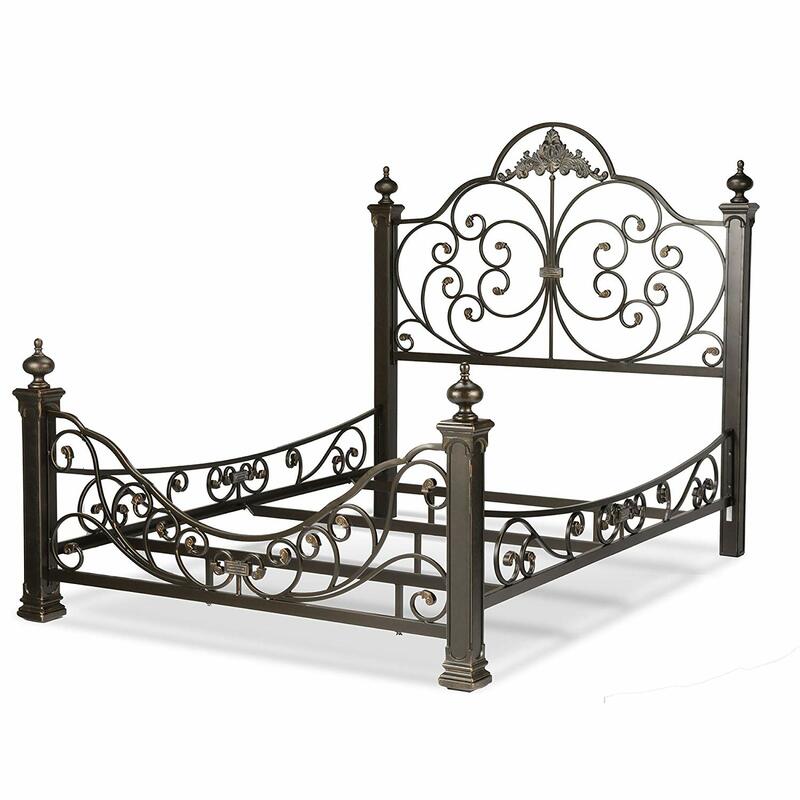 Princess goths might like the look of this platinum and silver gray bed, which comes in Queen, King or California King sizes. I love the look of this Baroque cast metal bed, but my boyfriend and I are too clumsy - we'd surely stub our tones on it or bang our shins on it day in and day out. This is a nope. What do you think of this massive acrylic black headboard from The Parisian Apartment on Etsy?